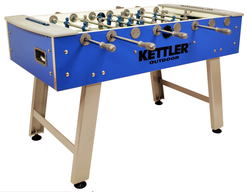 Kettler is a German owned company that is a leader in manufacturing furniture, sports and fitness equipment, table tennis tables, bicycles, and children's outdoor toys. It began in 1949 and has become a large enterprise that is now worldwide, even though it still establishes its stance of being ''Made in Germany''. They now employ over 1,500 employees and sell products in over 60 countries in the world. 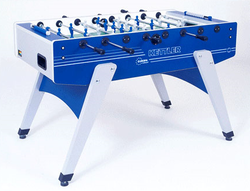 Their foosball tables are built with quality parts and are known for being outdoor/indoor models that can withstand the elements.